How about an egg-citing Easter surprise back from the O2 vault? Starting today, April 9 at 5 p.m. CT until April 21 at 11:59 p.m. CT, or while supplies last, you and your Customers can purchase an Easter Mystery Charm Pack! The Charm Pack is available on your Personal Web Page under Shop > Collections > Easter and in your Back Office under Shop > Jewelry > Collections > Easter. Note: Limited quantities available. Substitutions may apply. While supplies last. Now, ”hop to it” before this pack disappears! P.S. 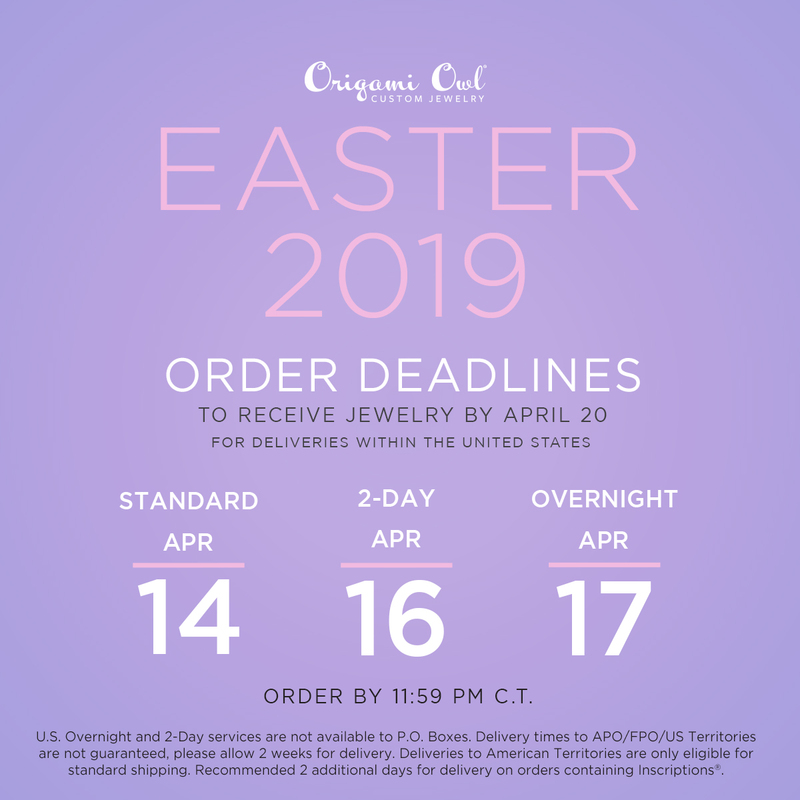 If you or your Customers are on the hunt for any specific piece, make sure you get them before our Limited Edition Easter 2019 Collection also goes offline April 21 at 11:59 p.m. CT. If you want to receive the Easter pieces or this Easter Mystery Charm Pack before Easter, be sure to keep the shipping timelines in mind! 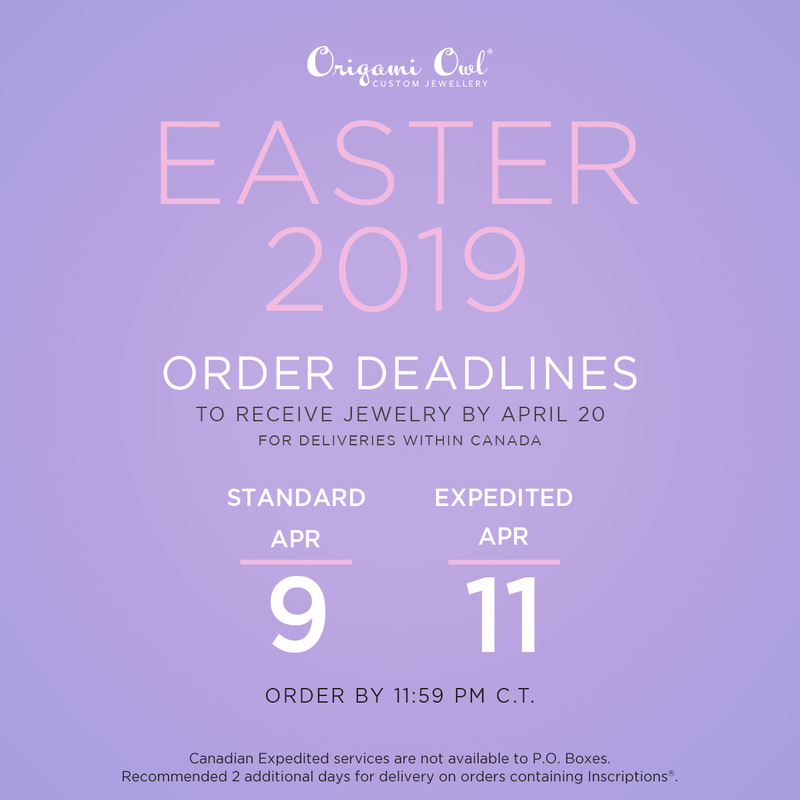 The Standard Shipping cutoff for Canada is TODAY, April 9, and the Standard Shipping cutoff for the U.S. is on Sunday, April 14.